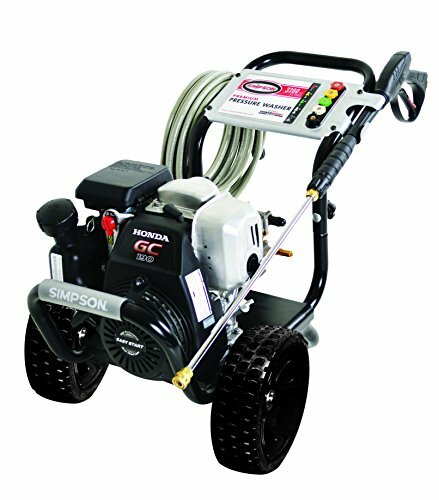 The MSH3125S by Simpson Cleaning is a cold water pressure washer that’s powered by a Honda GC190 small engine and totes an Axial cam horizontal pump. The pump is a pretty important component when it comes to gas-powered washers. The Axial cam pump is mounted directly onto the engine and moves at the same speed as the motor. This allows the pump to produce enough PSI’s to clean just about anything a homeowner can clean safely with high pressure. A few years ago, we were contracted to restore an older home that was built in the 1950’s. The homeowners forgot a cast iron skillet on the stove top, leaving the electric burner on and went to bed. They got out safely and called the fire department. The kitchen had to be gutted to the studs. The job took about two months to remove and restore the smoke damage. The day before the homeowners was going to move in I decided to power wash their driveway. It had ground in dirt from years of only being rain cleaned, several cracks in the concrete, and a lot of debris from the fire and construction. I had my old trusty Generac 2700 PSI 2.5GPM, washer with me that I had used for this type of clean up. The pump went out just as we got started and I had to run to the nearest tractor supply for a replacement because Home Depot and Sam’s club were several miles further. I purchased the Simpson Cleaning MSH3125S, because of the 3100 PSI and it had Honda engine. I thought the motor was the same as the other but it turns out the generac had a Honda GVC190. Any rate, I decided that the PSI’s this machine had would more easily clean that old drive and it did. Here is my solution for you when it comes to old dirty driveways, and patios, click here to check it out. What did I do with the old Generac….? I had the pump replaced and sold it on Craigslist. Q: What is the weight of this machine? A: 65lbs? Partly due to the heavy duty welded steel frame and 10”pneumatic rubber tires. Q: Does MSH3125S come with a water filter? A: Yes it has a screen filter where you screw on your garden hose. It can be removed and cleaned and you can find replacements on Amazon, or at Lowes, and Wal-Mart. Q: Will a 5/16″ ID – M22 female to M22 female replacement hose work on this unit? A: Yes this hose will work sufficiently. I wouldn’t get any longer than 50’ or you may lose water pressure especially if the water of your home is less than 35PSI. Q: What attachments would I need to use to clean the second story of a home? A: You will need at least a 31” Extension pole for high areas such as a second story. Q: Can you vary the pressure settings on this power washer? A No, unlike electric pressure washers you cannot change the pressure. 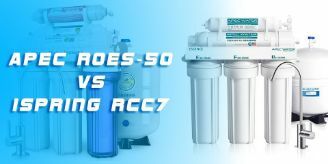 You can use the 40degree or a 45-degree tip or nozzle in order to control the amount of water being used. A machine that is easy both to use and setup. Just one pull and you’ll have this thing up and running with ease. With a perfectly sized container to hold the engine oil, just add the oil and some gas and you will be ready to go. The Honda engine has a lot of power and the machine is actually kind of fun to use. My suggestion is that if you are anticipating doing heavy-duty cleaning (decks, getting a house ready for paint), steer clear of electric power washers and gas units with less than 2,000 PSI. A five-star item! Review on a pressure washer… Cuts the job in half compared to my old pressure washer. I had a hard time getting the variously sized nozzles in the slots on the machine, so I just stuck them in my pocket and changed them out as needed. As a suggestion, I’d make the handle higher and if at all possible, like to be able to fold it forward when I’m not using it. Click Here To Read The Original Testimonial From Cristina N.
Brass Pump Head: Most pressure washers come with an aluminum pump head. Being that the Simpson pump head is brass means that it will last much longer than any aluminum pump head. Pull Start: like most small engines the MSH3125S has a pull start that is very easy to pull and start. No soap container just a tube: I wish this machine had detachable soap container plus the tube. When cleaning outside you want to be able to just move the equipment and work without having to take the tube from the bucket and make 2 trips: one for the machine and another for the bucket. But the tube did come in handy when a plumber ask if we could use the pressure washer to fill a sprinkler system with anti-freeze. No folding handle for storage: This is a challenge when you have a bigger machine. The handle is part of the frame. Warranty issues: The warranty isn’t as great as I would like to see Simpson gives a 90 Days on wheels, gun, hose, wand & nozzles. A 1-year warranty on the pump and years on the frame. Noise level: The machine is loud. You will definitely benefit wearing a pair of good earmuffs because the decibel level is pretty high. Remember it is a gas powered pressure washer and not a more quitter electric machine. Adding fuel to the engine: When adding fuel directly from the can I have sloshed gas onto the motor. I highly recommend using a fuel funnel with this rig. Plus the manual actually recommends the same. This rig work beyond my expectations, At that old house I cleaned the driveway, porches, and garage in half the time it would take my old Homelite pressure washer. Later I added a surface cleaner which really helps cleaning outside concrete surfaces without all the overspray. I have read that some have trouble with keeping their nozzles in place due to vibration from the motor. I would check the tire pressure and re-pressurize (the recommended pressure is on the tire and in the manual. Make sure your rig is sitting level. If this doesn’t work then I would recommend taking it to an authorized repair shop. This is the best gasoline pressure washer I have used even comparing it to my Generac. When you need cleaning power for tough jobs you need an even tougher pressure washer then you need to buy the Simpson Cleaning MSH3125S Pronto. Click Here-Check the price on Amazon Today!